This recipe is the base for so much goodness! It's a perfect example of how a bit of time in the kitchen (not much more than if you simmered a canned or jarred version to be honest) can give you an amazing start to many meals. 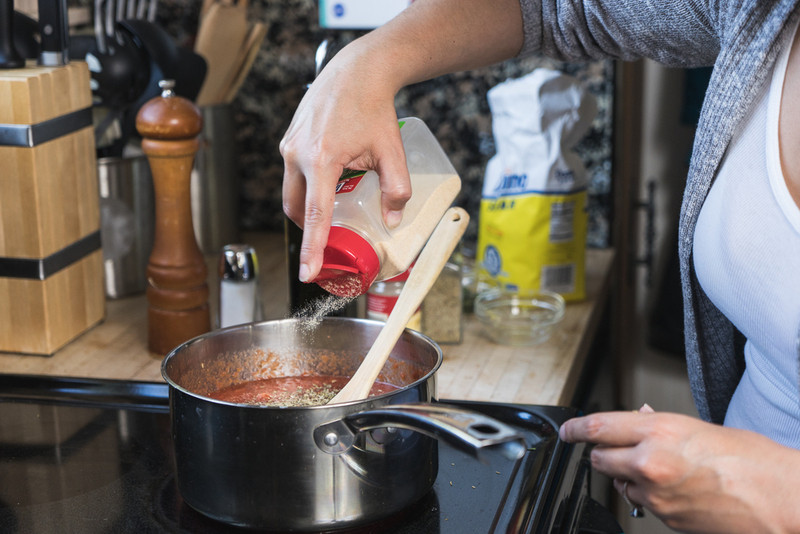 I started making my own pasta sauce years ago when we happened to get a free issue of Cooks Illustrated that included a recipe using canned tomatoes. Over the years I’ve tweaked that recipe, playing with the herbs, ratios, and even trying fresh tomatoes (hint use tomato paste to avoid a very thin sauce), and have always had a winner. I love this sauce and I hope you do too! Add the butter to a large saucepan and heat over medium low heat until butter melts, swirling the butter to coat the pan. Add onion and cook 10-15 minutes until golden, stirring occasionally. Note it is super important to give the onions time to cook. They will give the sauce a rich flavor as they golden in color. Do make sure not to over do it and burn them, that will result in a more bitter flavor. 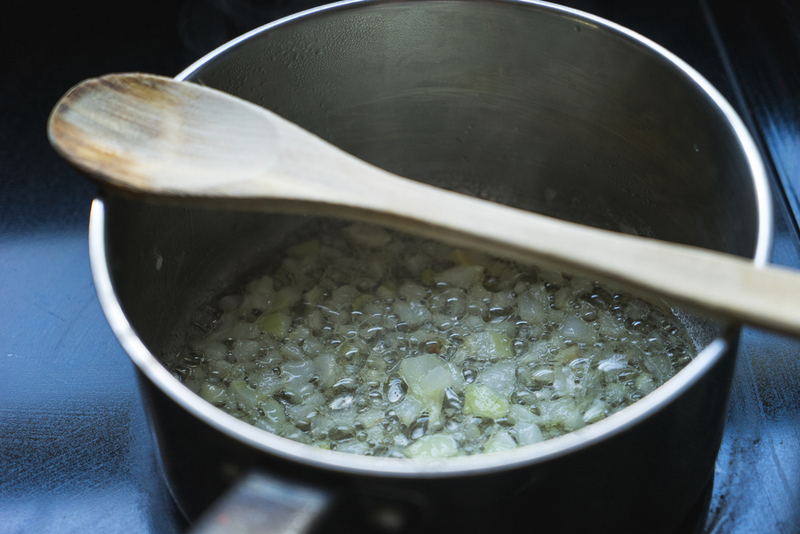 Once the onion has a golden color, stir and add the minced garlic and stir for 30 seconds. Gradually add the tomatoes, mixing throughly after each addition. Add all spices and 1 teaspoon of sugar to the tomato mixture (omit the basil if using fresh and not dried). Stir until well combined and gently boil for 5 minutes. Taste sauce and add remaining sugar and additional dried spices to taste. Lower heat to low setting and allow to simmer for an additional 5 minutes, again tasting and adding any additional dried spices as desired. Once you have reached desired flavor. simmer for 20-25 minutes stirring occasionally (you may simmer uncovered or covered if you wish). Remove from heat and add olive oil and fresh basil (if used) and stir. Serve immediately over your favorite pasta or meats, or cool and store in containers. 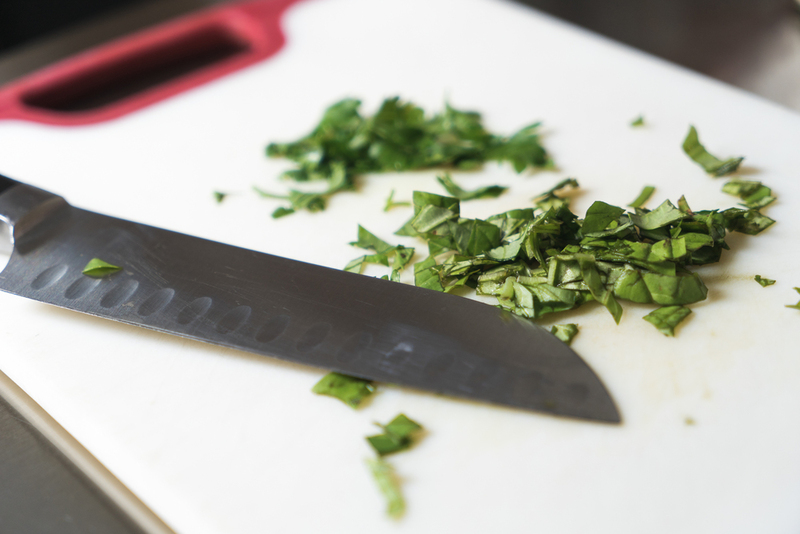 If you use fresh basil in this recipe do not add it in with the dried spices. The fresh basil will wilt and have a bit of a bitter flavor if simmered for this long. The dried will hold up to simmering better and does need this to release all of it's basil goodness. This sauce can be frozen for up to 3 months or refrigerated for up to 2 weeks (though in my house it does not last that long!). Pair it with my Basic French Bread, some pasta and good parmesan and this is a wonderful housewarming or new parent, get well, thinking of you, or just because gift.